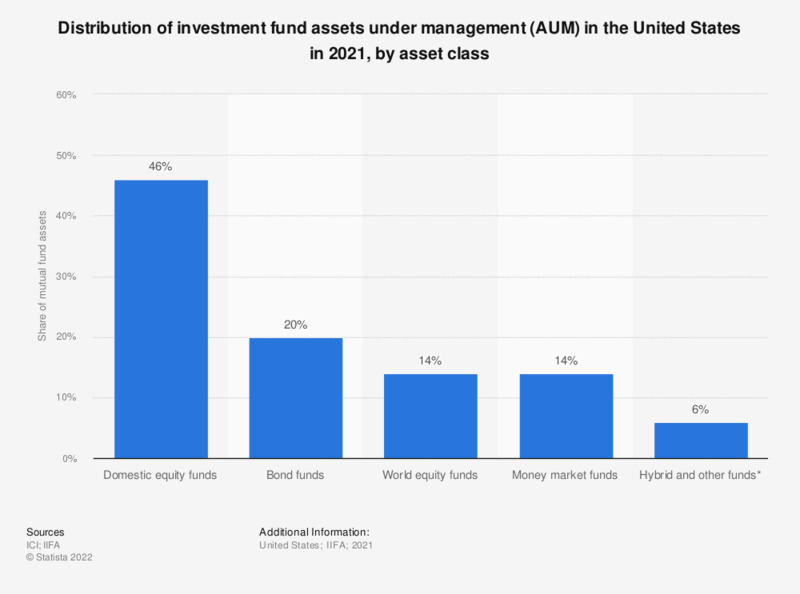 The statistic presents the distribution of mutual fund and ETF assets in the United States in 2017, by fund type. Domestic equity funds constituted 43 percent of the mutual fund and ETF assets in the United States in 2017. Mutual funds and Exchange Traded Funds (ETFs). What percent of the assets that you manage for clients today is in equities, fixed income, international investments, cash or alternative assets such as private equity or real estate?